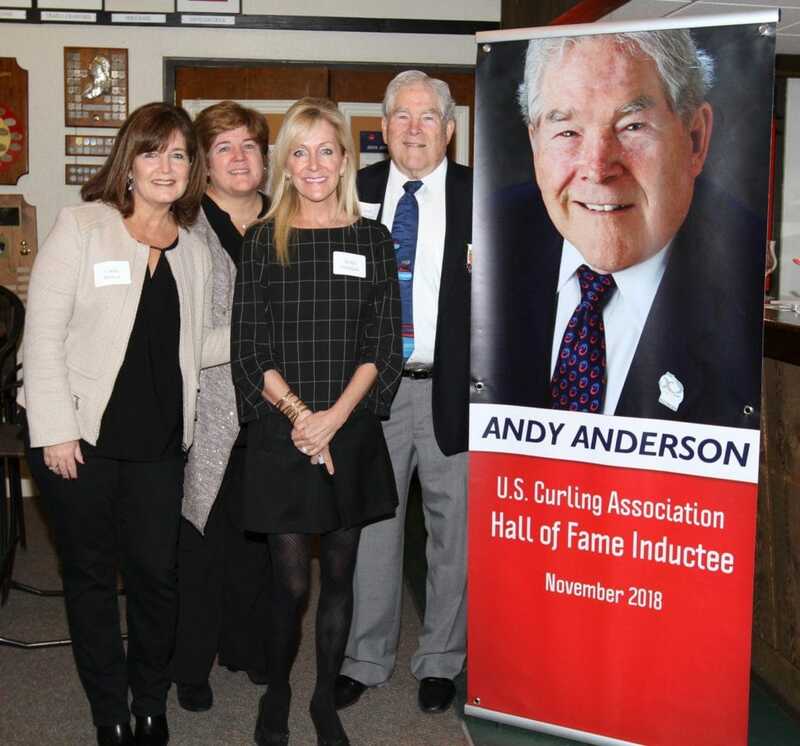 Congratulations to Andy Anderson for Chicago Curling Club for receiving the incredible honor of being inducted into the United States Curling Hall of Fame. Members of the Hall of Fame are recognized for their outstanding service and significant contribution to curling within the United States. Andy has been a prominent member of the United States curling scene for many years. 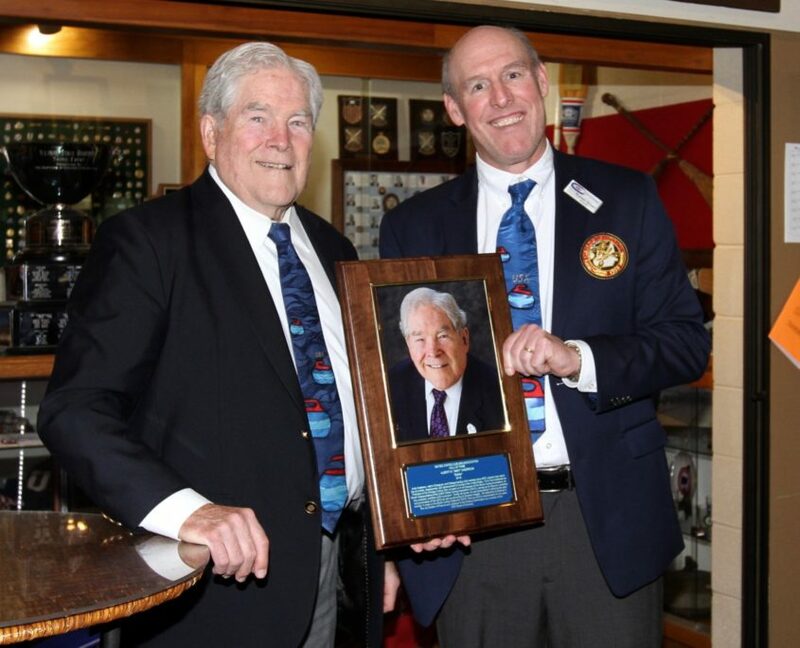 He held the position of president, treasurer, and board of directors member for the United States Curling Association (USCA), Midwest Curling Association (MCA), and his own club, Chicago Curling Club. For the last eight years, Andy served a USCA representative to the World Curling Federation; in addition, he has served as the WCF’s first Director of Finance and acted as director of the WCF board. Friends and family attended his award ceremony held at Chicago Curling Club. Rick Patzke, the CEO of USA Curling, attended the event. Dave Garber, another recent Hall of Fame inductee, Mark Swandby, and Mike Griem was kind enough to speak about Andy’s many accomplishments. And thanks to Marilyn Wilson for taking all the lovely photographs. 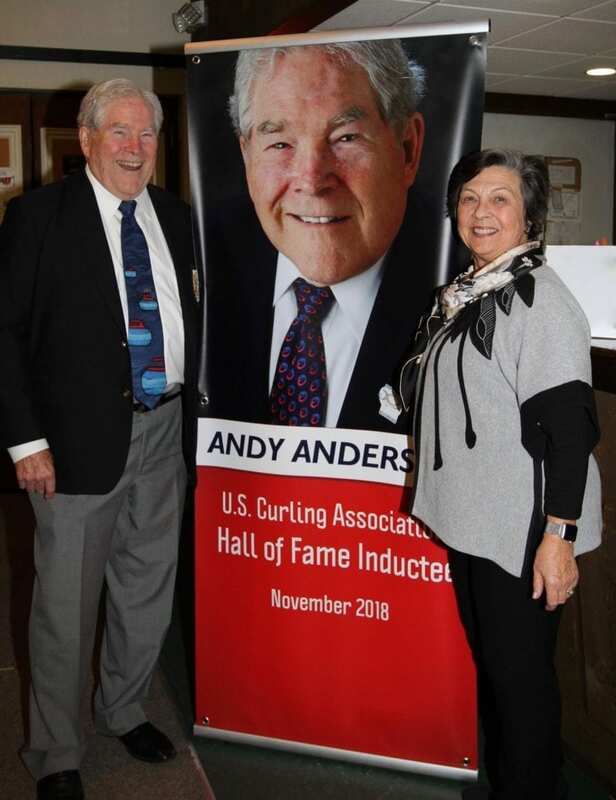 Andy’s dedication and willingness to lead is honorable, and the Midwest Curling Association is proud to congratulate him on this wondrous accomplishment. Thank you, Andy, for all the work you have done for curling on both a worldwide and local level!